Empires rise and fall, and so do companies. As America’s biggest technology businesses continue to reach astonishing new heights, what threats must they guard against? On 2 August 2018, just 42 years after it was established, technology business Apple became the world’s first trillion-dollar company. Its share price, multiplied by the number of shares (its market capitalisation), hit the $1 trillion mark. Hot on its heels came technology peer Amazon, which ran through the trillion-dollar ribbon on 4 September, less than a quarter of a century after it was founded in Seattle in 1994. A trillion is an almost inconceivably large number — a thousand billion or a million million. Travelling back in time a trillion seconds would take you to the year 29692 BC — the Stone Age. There are 1.6 trillion dollars in circulation in the US. A trillion dollars represents about 5% of US gross domestic product (GDP) in 2017 or 38% of UK GDP; it is roughly the same as the GDP of Indonesia, the world’s 16th-largest economy. History shows little if any benefit accrues to companies that are first to reach a particular size. US Steel Corporation gained nothing from becoming the world’s first billion-dollar company in 1901. Nor did General Motors when it hit $10 billion in 1955, General Electric when it reached $100 billion in 1995 or Microsoft when it topped $500 billion in 1999. In many cases reaching a particularly large scale is perceived instead as a symbol of over-reaching hubris. The fact that two technology companies have each been ascribed a trillion dollars of value this year is an indication of the growing importance of technology within the US stock market. Arguably, it has never been higher. There are 52 companies in the S&P 500 with a market cap of more than $100 billion. Of these, 14 are unquestionably technology companies, such as Apple, Intel and Adobe. Another three are heavily technology-enabled — Visa, Mastercard and Accenture. By comparison, the UK has only six companies with a market capitalisation of more than $100 billion, none of which are technology stocks. The US has shown an increasing tendency towards market concentration as its technology stocks have grown in size. Much has been spoken about the fast-growing FANG stocks — the acronym for Facebook, Amazon, Netflix and Google (now renamed Alphabet) — but the biggest technology companies by market capitalisation are in fact the FAAMGs (Facebook, Apple, Amazon, Microsoft and Google/Alphabet). For much of 2018 the FAAMGs were the five biggest stocks in the US market, at times representing 15% of the entire index. Technology is also important to the world’s second-largest economy, China. Here three internet companies, dubbed the BATs (Baidu, Alibaba and Tencent), represent 28% of the MSCI China index and 12% of the MSCI Emerging Markets Asia index. The rise of increasingly dominant technology companies appears inevitable in retrospect. They benefit from self-reinforcing network effects, with people more likely to join platforms with large user numbers because they offer more potential connections. Facebook has 2.23 billion monthly average users across its Facebook, Instagram and WhatsApp social media and messaging platforms — nearly one third of the entire population of the world. Tencent has 1.06 billion users of its WeChat/Weixin social media platform — the majority of China’s population. Alphabet has seven services that each have more than one billion users globally — Google Search, YouTube, Android, Google Maps, Google Chrome, Gmail and Google Play Store — with YouTube boasting 1.8 billion monthly logged-in users. Amazon reported 310 million users two years ago and has grown significantly since, while its Amazon Prime subscribers now exceed 100 million. These large entrenched customer bases, if they can be sustained and grown, provide companies with an important source of competitive advantage, enabling them to offer huge audiences for advertising and to spread the cost of innovation. By building these customer bases, the large internet companies have become extremely profitable and cash-generative. Most now sit on sizeable net cash balances, which they are using to buy up promising new platforms and businesses. Google/Alphabet acquired YouTube in 2006, a year after it was founded, and has made nearly 200 acquisitions in its 20-year history. These include Android, developer of the eponymous mobile operating system; Where 2 Technologies, the business that created Google Maps; Nest, which specialises in home automation; and Waze, which makes driving navigation software. Facebook used its cash flow to acquire potential rivals Instagram and WhatsApp, which are seen as key drivers of its future growth. So in some ways the technology giants are able to stifle or hijack future competitors and protect their own franchises, as well as extend them into new areas. What can challenge the dominance of the technology giants and trillion-dollar companies? Hubris has always been a risk for companies that grow too big. General Electric has spent most of the 17 years since the retirement of CEO Jack Welch (dubbed Manager of the Century by Fortune magazine) underperforming the market due to its conglomerate nature, unfocused acquisition activity and the build-up of the esoteric GE Capital, which required a government bailout during the global financial crisis. Scale tempts CEOs and companies to believe their own hype and become convinced of their superiority and inevitable future success. They start becoming less aware of risks and criticism. We see evidence of this at Facebook and Tesla, where founder-CEOs Mark Zuckerberg and Elon Musk have made recent mis-steps. Another key risk is government antitrust regulation, which has often come into play when monopolies, natural or otherwise, have built up. This occurred with Standard Oil, which dominated US oil supply at the beginning of the 20th century and consequently was required by the Supreme Court to break up into 34 independent companies, including the forerunners of Exxon, Mobil, Amoco and Chevron. It occurred again when AT&T — known colloquially as Ma Bell — was compelled to break up into seven regional telecom companies, the Baby Bells, in 1984. The European Union is relatively active in trying to curb abuse of monopoly positions. Over the past decade it has fined Microsoft, Intel, Facebook and Alphabet billions of euros, but this has done little to dent the companies’ advance. In the key US market antitrust legislation is primarily aimed at ensuring fair competition for the benefit of consumers. The technology companies can argue that they have benefited the consumer significantly by offering price discovery and unparalleled connectivity with others, leading to lower prices and better consumer satisfaction. There is a risk that technology companies may begin to abuse their monopoly positions — the fear with Amazon, for example, is that it could put much of the High Street out of business and then start to raise prices. Governments and pressure groups need to be vigilant about this. Apple must continue evolving the design and functionality of its smartphones to keep them aspirational, as well as innovating new products (like wearable devices) and services to keep customers within its ecosystem. 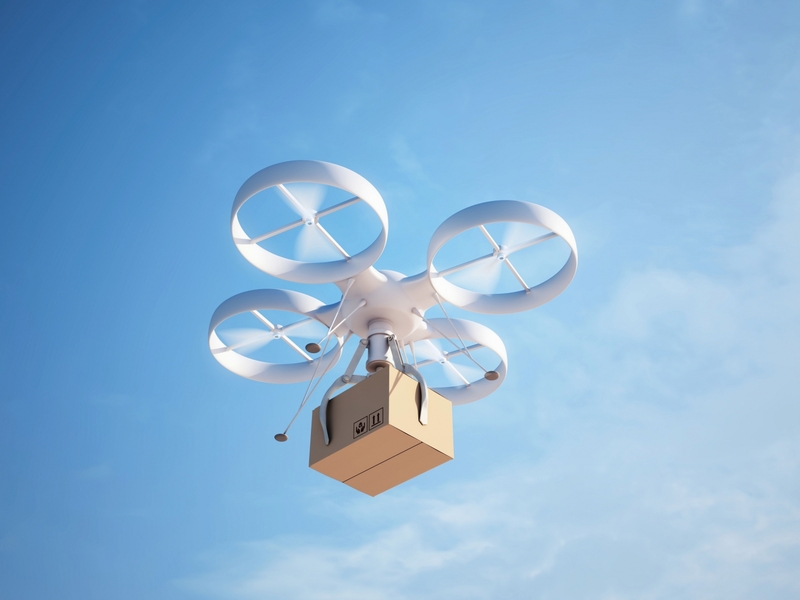 Amazon needs to keep offering customers more choice and convenience (for example, it has trialled delivery by drone). Microsoft must invest in keeping its Office software suite relevant to businesses and consumers as all migrate to the cloud (renting software rather than buying licences). Alphabet should keep honing its algorithms and artificial intelligence, using its massive amounts of data to improve customer search results and provide advertisers with more targeted access to potential consumers (though the really exciting angle is its “moonshot” investments in areas such as self-driving car technology). Amazon, Microsoft and Alphabet all have sizeable and fast-growing hosted cloud computing services businesses that are helping corporate customers reduce their need for technology infrastructure. They all need to keep enhancing the intelligence and security of their offerings. Lastly, Facebook must offer its customers more reasons to stay on its social media platforms. To do so it is currently prioritising user-generated content over corporate advertising. The era of the trillion-dollar company has arrived, and we suspect technology companies will continue to dominate stock market indices over the coming decades. We have seen this year how market expectations of the future growth and profitability of a company can change quickly — Facebook’s share price fell 28% from peak to trough in the wake of its data privacy scandal. The large technology companies are relatively highly rated by the market, due to their strong growth forecasts, but earnings multiples are anchored by solid cash flows and not as fanciful as many were in the dotcom boom. Dominance is these companies’ to lose if they ignore lessons learned from previous market leaders — if they grow overly complacent and stop striving for excellence or if they exploit their leadership positions and trigger material antitrust regulation. Most importantly, perhaps, they need to continue reinvesting to sustain and extend their technology leadership and relevance. Innovation is the lifeblood and agent for economic disruption, especially for the technology sector. These companies must stay alert to the risks of obsolescence.